Norcott Technologies » Manufacturing » Investment continues at Norcott. As part of our on-going investment programme, we are pleased to announce the purchase of a new Selective Soldering System from Pillarhouse. Our new, Jadex Pro is now fully productionised and proving to be an exciting addition to our already impressive soldering capabilities. Selective Soldering can best be defined as the process by which conventional leaded components are soldered onto a PCB. Originally devised for soldering those hard to get areas of a circuit board assembly which historically were carried out by hand operators using a soldering iron or the use of a wave soldering machine. It has now become a recognized process within the PCB assembly industry, and is usually carried out after the surface mount reflow operation. Selective Soldering offers a significantly lower cost approach, over conventional wave soldering or hand soldering through-hole components on mixed technology PCB’s. It offers the ability to eliminate the need for costly wave solder pallets when using the traditional masking methods. Furthermore, the quick interchange of solder baths e.g. eutectic to lead-free and vice versa, helps reduce production costs. 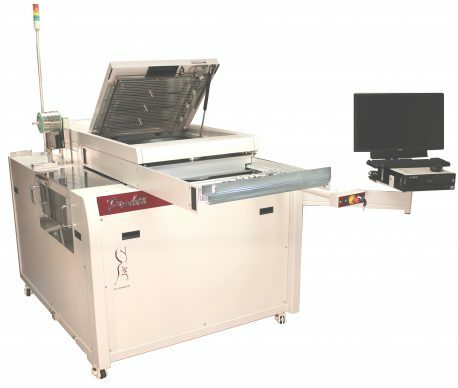 Removing the need for hand soldering, can greatly assist product quality and result in enhanced production throughput.